Mint Julep Jazz Band CD Release Party May 8! 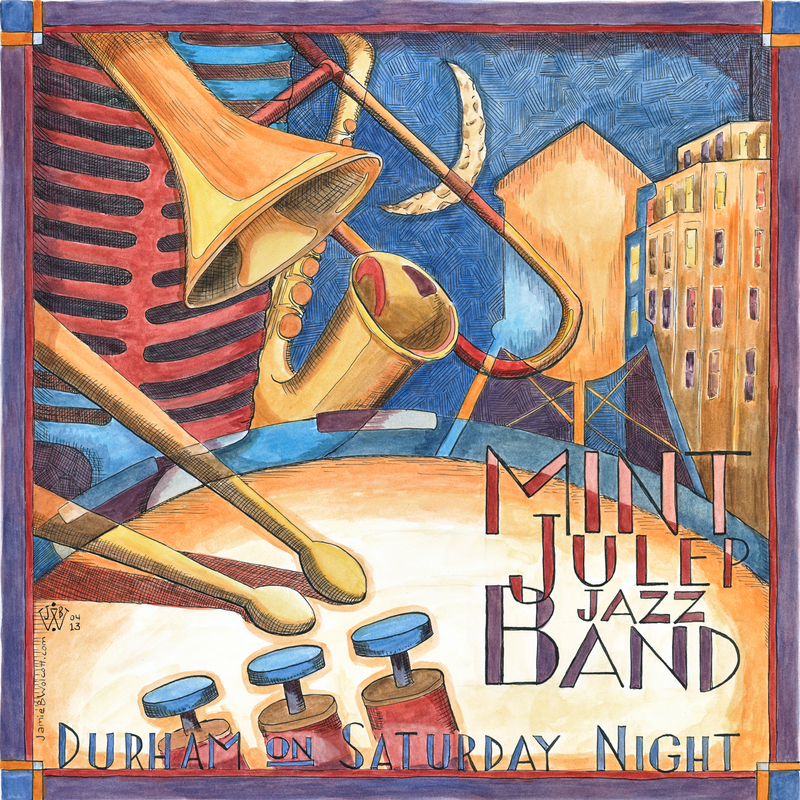 The members of the Mint Julep Jazz Band are beyond excited about having our album, “Durham on Saturday Night,” ready for you to listen to and enjoy! Three Fridays with the Mint Julep Quintet! We’re returning for our monthly engagement at this fine establishment that straddles the line between modern gourmet and comfort food and drink. Make a reservation to dine in the jazz lounge to ensure that you get a seat! You can make reservations through their website (they use OpenTable) or by calling the restaurant at (919) 251-9451. We are making our debut at Beyu Caffe, the restaurant voted the best place to hear jazz in the Triangle in the Independent Weekly reader’s poll. Come join us at this wonderful downtown establishment for dinner, dancing, drinks, dessert, or all of the above! You may also want to make a reservation here, depending on your seating preference – call the restaurant at (919) 683-1058. We’re making our February appearance at G2B Gastro Pub earlier in the month – your last chance to catch the Quintet until we return on March 22!